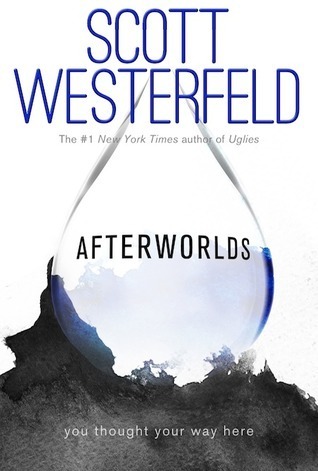 Afterworlds by Scott Westerfeld is a split novel told in alternating chapters. Half of the story is about Darcy Patel, an eighteen year old high school graduate who has gotten a publishing deal. The other half is about Lizzie, a terrorist attack survivor who has an interesting encounter with death. Lizzie’s story is the novel that Darcy is publishing, and both of them face many challenges in their new worlds that involve romantic ventures. I found Afterworlds to be a very compelling read that I didn’t want to put it down, however I did find myself more likely to stop during or just before Lizzie’s chapters started. As a premise, I did enjoy Lizzie’s story however the pacing and tension really wasn’t there for me. I loved Darcy’s story although there was a lack of plot in this one too. These were both novels that followed the characters as they grew which did sometimes feel a bit tedious. The way that the novel was told in alternating chapters was really interesting to read, especially because there were ways that you could see the crossover between them. Things that happened to Darcy ended up in Lizzie’s story, and Darcy spent time examining her choices in writing Lizzy. The novel was left kind of open ended, so I am not sure as to whether there will a sequel but I think there could be openings for one. I was immediately drawn in by the insight that Afterworlds provided into the publishing industry, and as a nanowrimo participant myself I liked the idea of watching someone go through that process. Although, the idea of a nanowrimo participant submitting their first draft to an agent and immediately getting picked up is ridiculous. Having finished several 50k long first drafts myself I know that they are very rough and not the sort of thing that I would be comfortable sending to my best friend, let alone an agent. Afterworlds was very different to the sort of novels I normally read, but I did enjoy it. I found some parts of it slow, but most of it was very interesting to read and the different format really added to this. I give Afterworlds a 4 out of 5.